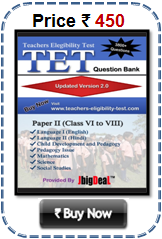 Tamil Nadu TET Eligibility and Qualifications 2018 Tamil Nadu Teacher Eligibility Test (TN TET) minimum educational Qualifications and Eligibility for TRB TN TET 2018. A. Candidates should possess the following prescribed qualifications to write the Teacher Eligibility Test : a. 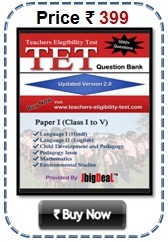 Candidates who have passed Higher Secondary Course (10+2 Pattern) and Diploma in Teacher Education / Diploma in Elementary Education (regarding other State D.T.Ed Certificate, evaluation certificate is necessary) in a Recognized Teacher Training Institute / DIET and seeking an appointment as Secondary Grade Teacher for classes I to V (except Visually Impaired Candidates) can write Paper I.
b. Candidates who have passed a Bachelor’s Degree (B.A. /B.Sc. / B.Litt.) 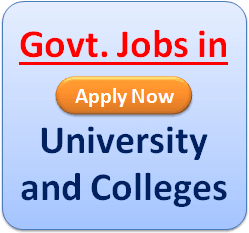 with Tamil, English, Mathematics, Physics, Chemistry, Botany, Zoology, History and Geography or a Degree with any one of the equivalent subjects (Regarding equivalent subject, Government orders issued prior to the date of this notification alone will be considered) from a Recognized University under 10+2+3 Pattern and a Bachelor’s Degree in Education (B.Ed.) from a Recognized University and seeking an appointment as Teacher for classes VI to VIII can write Paper II. c. Candidates appearing for the Final Year Examination of D.E.Ed / B.Ed during the current Academic Year (2012 – 2013) are also permitted to appear for the Teacher Eligibility Test. Such Candidate’s should have successfully completed the course in the current Academic Year (2012-2013) itself and should produce D.E.Ed / B.Ed Certificate during Certificate Verification otherwise they shall not be considered for current year Government recruitment process. However they may be issued with TET certificate after producing D.E.Ed Diploma certificate / B.Ed Degree Certificate. I completed M.E. now I'm pursuing B.Ed (1st year) shall I write TET paper 2?? i completed B.Lit Tamil. can i write TET exam? which paper i want to write? I completed MA economics& BEd socialscience can i write the tet exam. I had finished B.Sc Maths and B.Ed. (maths) And after i havealso finished BA English.Now can i write TNTET for English subject. I am eligible or not. Why Should I buy this?